Carotid ultrasound measurement of carotid intima-media thickness (CIMT) and detection of plaques is a useful method to better assess cardiovascular disease risk status, especially in those at intermediate risk. We discuss the use CIMT and other emerging techniques such as contrast-enhanced carotid ultrasound imaging in the evaluation of the carotid artery and its value in cardiovascular disease. Dr. Steven B. Feinstein has been a speaker for Abbott, Takeda, and General Electric. Dr. Blai Coll received speaker honorarium from Novartis, AstraZeneca, and Abbott. Dr. Vijay Nambi received research support collaboration with General Electric and speaker honorarium from the American Heart Association. • Schinkel AF, Krueger CG, Tellez A, et al. 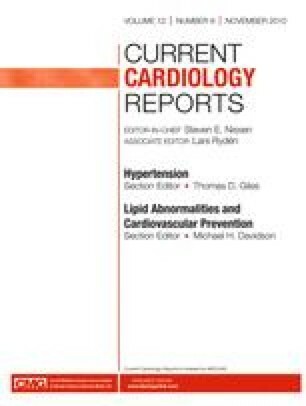 : Contrast-enhanced ultrasound for imaging vasa vasorum: comparison with histopathology in a swine model of atherosclerosis. Eur J Echocardiogr 2010 Apr 12 [Epub ahead of print]. doi: 10.1039/ejechocard/jeq048. In this recent publication, the authors provided a new experimental model for the in vivo assessment of atherosclerosis using the Rapacz familial hypercholesterolemic swine model.